Understanding when to use the present simple and present continuous tenses can be confusing for learners. Here are some examples to help you better understand the differences. We use the present simple to talk about things that are generally true or to state facts. It snows in the Alps. We use the present continuous to talk about things that are happening at this moment. Is someone helping you yet? The kids are waiting for the bus. We use present simple for situations that are mostly permanent, for jobs or hobbies and things that always happen. Sally studies at Oxford University. John works at a law firm. We use present continuous tense to talk about situations that are temporarily happening. I'm living in New York this summer. He's studying at Oxford this semester. I am working from home today because my daughter's sick. Use present simple to talk about routines and habits (how frequently we do or don't do things - e.g., every day, usually on Tuesdays, often, never, sometimes). Sarah plays the piano in the afternoon. Our baby cries all night. My son watches cartoons almost every day. Use present continuous to talk about habits that are annoying and bother us. ("always" "constantly," "continuously," and "continually"). My dad is always complaining. Ugh! My sister's constantly banging on the piano. Are you using my computer again? Why are you still talking like a baby at your age? Use the present simple for actions and events that are set by a timetable (often something that is set by an organization). This means we can use the present tense to describe something in the future. Our flight leaves at 5 PM. When does the next bus depart? The movie starts at 1 PM and 4 PM. The bank closes on holidays. We use the present continuous tense for actions that we're planning to do in the near future. This means we can use the present tense to describe something in the future. We are flying to Paris on Friday. Is this bus leaving soon? They're closing the bank early tomorrow for construction. Certain verbs are used to express opinions, states, feelings and emotions (not actions). We do use the simple present with verbs that describe states, opinions, feelings and emotions. Why don't you like cats. My friend knows Britney Spears. We do not use stative verbs with the present continuous (unless they express a dynamic meaning). NOT: Are you believing in Santa? NOT: Why aren't you liking cats? NOT: Your car is needing repairs. NOT: My friend is knowing Britney. NOT: Are you understanding Spanish. 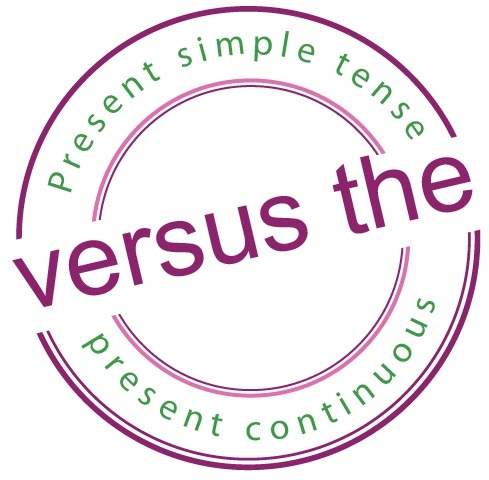 I hope this has been helpful in showing the main differences between the present simple and present continuous tenses. 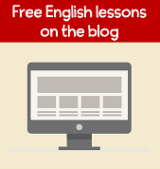 If you need to you can review how to make the present simple and present continuous tense. I go over the positive and negative forms, questions, spelling and give lots of examples.